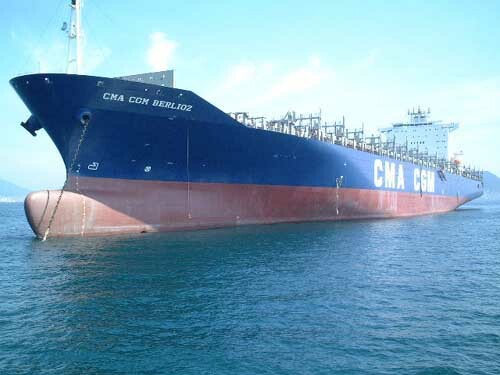 In July 2001 we received a communication from the Commander of a container-ship, belonging to the French company CMA CGM. He informed us, among others, that his ship is called CMA CGM BERLIOZ after the composer. It carries cargo to and from various ports around the world, and, with it, Berlioz’s name. He kindly granted us permission to make this announcement here and reproduce the picture of the ship on our site. In November 2003 Madame Muriel Mironneau, Director of Communication of the shipping company SeaFrance, informed us that their latest passenger ship, which was at the time under construction, would be named after Berlioz. 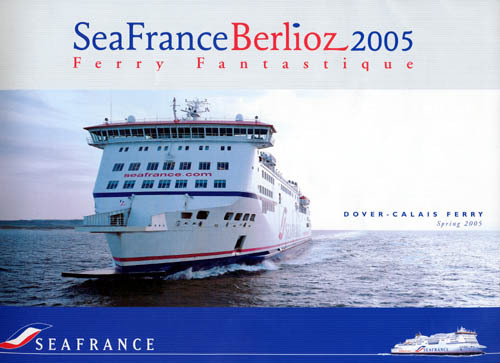 The SeaFrance Berlioz ferry is now afloat and you can see its picture elsewhere on our site as it appeared on the cover of the company brochure (in our own collection). In addition, Mr Neville Blackshaw, a Berlioz admirer and a visitor to our site, has kindly sent us a photo of the SeaFrance Berlioz under construction. We are most grateful to him. Mr Blackshaw has kindly sent us a few more pictures of SeaFrance Berlioz, which he took on board the ship. See also below an engraving of La Louisiane, whose captain was Berlioz’s son Louis. This picture has been scanned form the “SeaFrance Berlioz” brochure, a copy of which is in our own collection. The company had a tradition of naming its ships after well-known French artists. The latest addition to their fleet was named after Berlioz. 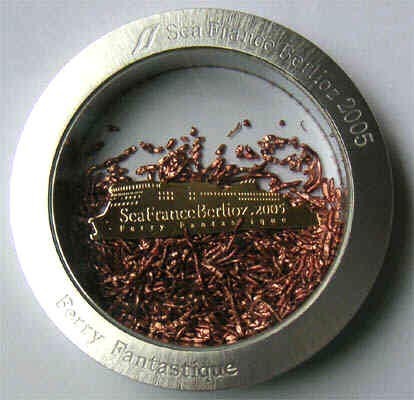 This is a stainless steel and glass “porthole style” paperweight with a see-through glass middle, representing a “floating” gold plated SeaFrance Berlioz ferry, in a “sea” of copper fragments. 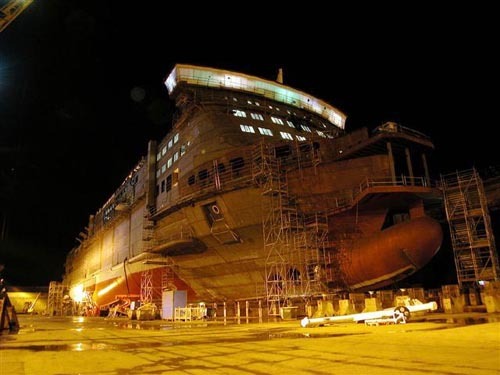 It marked the 2005 launch of the SeaFrance Berlioz. This photo was kindly sent to us by Neville Blackshaw. Berlioz’s only son, Louis, was a sailor who reached the rank of commander in his early thirties. 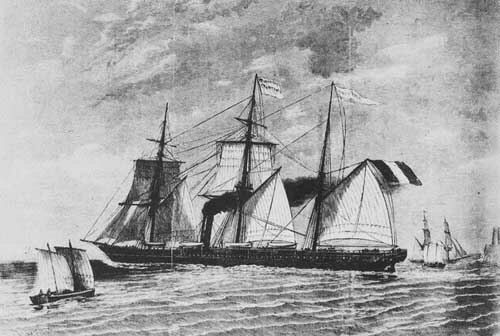 The ship under his command was called La Louisiane. This picture is from L’Illustration, published in 1862. © Monir Tayeb et Michel Austin. All rights of reproduction reserved.